This giveaway is now CLOSED. Thanks so much to our wonderful sponsor Leggett & Platt! We look forward to working with you again! Our confirmed winner is 'Cori Westphal' - Congrats! :-) Remember: There are great giveaways active on the upper right hand side of the page! This holiday season has had me hopping and working harder than ever. Because of that, I've really been working hard to make my home especially my bedroom a zone of tranquility. I've finally got the bed thing down (but that's a post for another day! ), and you know how important I think bedding is. And better still how important pillows are! I sleep something akin to a Tornado. Which means there will be some time on my side, some on my back, and mostly on my stomach. 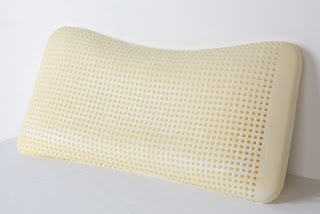 If you are anything like me, you've learned that the pillow that works well for your sides, may be super uncomfortable for you when you are on your stomach. Stomach sleepers usually do have a harder time finding a pillow that works well for them. I should know, I'm one of them! You guys all know I'm pretty particular about bedding, and our last sponsor certainly set the bar high! 400 Thread Count flat sheet, fitted sheet and two standard pillow cases. Available in Classic White or Soothing Ivory. While I couldn't convince them to let me review this headboard and footboard, I just had to feature it, because I Love it so much! I really love the cool aire pillows! People tend to toss and turn at night looking for the cool spot, this pillow IS the cool spot! I'd say I love it best for back and side sleeping, and I really love to stack them both up on top of one another when reading in bed! Hide these from the hubby ladies, he WILL steal them or get him his own set because you will want to keep them both trust me. If you are a stomach sleeper like me, these work best with your head closer to the edge than smack dab in the middle for some reason. I haven't washed the sheet set enough yet to speak of long term durability, so far I am very happy with them. I love Egyptian Cotton and I chose them in white, there is just something about fresh, crisp white sheets, it's a year round favorite for me! I have definitely been enjoying creating my bedroom oasis, and highly recommend Leggett & Platt for your bedding needs! Ƹ̵̡Ӝ̵̨̄Ʒ - WIN IT! - Ascending Butterfly and our friends at Leggett & Platt, want to help you create a holiday bedroom oasis of your own with a $300 gift certificate! ﻿﻿Don't you just ♥ Leggett & Platt? I know I do! Ƹ̵̡Ӝ̵̨̄Ʒ - How to Win: (1) You must be a PUBLIC follower of Ascending Butterfly to be eligible for this and all giveaways. Indicate in your entry that you follow (if your 'comment name/user id' differs from your profile id, please let me know what name you follow under) and (2)MANDATORY entry- Visit Leggett & Platt and link us to something you like! - Do NOT Post the URL to any of the review items or your entry will be deleted. (3) You must also leave your email address somewhere in your comment. (You can format it this way for security, example: ascendingbutterfly AT mail host DOT com). (If your email is clearly visible in your profile, you can just say so, that's OK!) Please follow the easy 1, 2, 3 steps to winning! This giveaway is open to USA residents who are 18 years of age or older. No PO Boxes. I'm a follower! 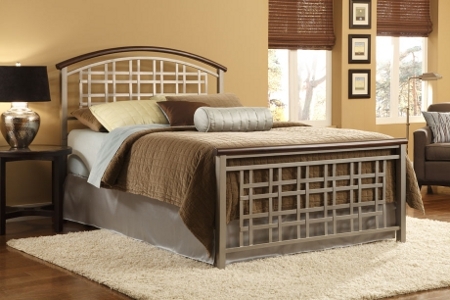 I love the lines of the Cortland bed! Our night before christmas ritual is to make sure the little Guy sets out the cookies and eggnog for santa .He has been keeping the plate and cup in his room waiting to fill it for santa. My ritual is being put of the mall every year on Christmas Eve. Then head to anystore that may still be open. I will shop until I have no choice to go home. I am so..so ...so last minute. I entered to be A Christmas Beauty with Borghese! I follow Leggett & Platt on twitter @Aerated. I entered your Borhgese giveaway. My night before Christmas ritual is to invite the extended family over, cook a huge spread, and exchange gifts and catch up with each other. I am following LeggettSleep on twitter @rusthawk. I've entered your Runes of Riches giveaway. I really like the look of the Sylvania Canopy bed! 2)I would like to own the Prodigy Bed, I am always online and would love to adjust my bed and then get a good nights'sleep, at least for the few hours I do sleep. Thank you for hosting yet another great giveaway! I'm a follower. I love the Stratton Bed. And with a $300 GC I could so afford it! Thank you for the chance! I follow on GFC and my email is public. I love the canopy bed! I'd like the Microfiber Sheet Set (http://www.lpcpg.com/products/sts/sheets.asp)! Comfy! My night before christmas ritual consists of setting out cookies and milk for Santa, then shuffling the kids off to bed. Then I get in bed and count down the minutes until they fall asleep, so I can sneak out and help Santa get their gifts together for morning! Then I crash! I love love LOVE the Memphis bed!! I love the Stratton Bed! On Christmas eve, my siblings and our families gather together for dinner. Following @LeggettSleep on Twitter (@hle123). My first comment didn't seem to go through... I didn't see a captcha. So here it is again. I like the Invisicase Surround Protector at www.lpcpg.com/products/sts/invisicase.asp. On Christmas Eve our family attends Christmas Eve church service together. I follow AscendingButterfly under Lisa B.
I'm guilty for developing stains such as make up and nail polish on the bed so the 8 oz. bottle of Purple Ink, Iodine and Grease Remover would come in very handy. The night before Christmas is meant just for my husband and I to enjoy. I make me homemade Chicken and Dumplings and we exchange presents. I follow via Networked Blogs under Lisa Berkery. I love this Memphis Bed! All the beds are awesome! Thanks for this giveaway AsendingButterfly! My Christmas ritual has always been for my family to eat dinner and then we drive around looking at the Christmas lights in our area while Santa comes to my home for my grandchildren. We open gifts at my house for them on Christmas eve. I voted on your blog at Fuel My Blog! Love this bedding set: http://www.stslinens.com/product.asp?csid=11&cpid=117! And am a GFC follower as Melissa O. Our night before Christmas is usually celebrated with the whole family going to church, then having a special dinner before 12AM and then we exchange gifts. i just need a new house to go with! we like to open a present each on christmas eve! Follower, I love the http://www.lpcpg.com/products/fbg/ciara.asp Thanks! I love the Nara bed, I like the platform style of bed without a dust ruffle. I'd love to win http://www.lpcpg.com/news/pr-08122010.asp ( INVISICASE SURROUND PROTECTOR ) schnoodle underscore do at hotmail dot com. I'm a GFC follower and my email is in my profile. The Euro Bed would be amazing!